Choose from 4 great deals! 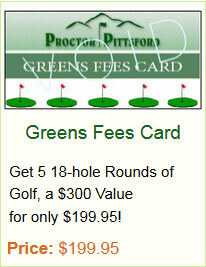 All including 5 Rounds of Golf with or without Cart! We now have online booking! Click the button to the right for booking your tee times online, or you can always call the Pro Shop.